What Does it Mean to Be in Knowing Possession of Drugs in Texas? Police found George Williams sitting behind an air conditioner unit of a business building. Even though it was a cool morning, Williams had his shirt off and was sweating profusely. After doing a pat-down of Williams, police found a crack pipe in his pocket that was later determined to have cocaine residue in it by police and a chemist. that appellant had knowledge that the substance in his possession was contraband. The 14th Court of Appeals (Houston) wanted to look further to see whether the evidence would support a reasonable inference that the defendant knowingly possessed the contraband. When the quantity of a substance possessed is so small that it cannot be measured, there must be evidence other than mere possession to prove that the defendant knew the substance in his possession was a controlled substance. In other cases, the defendant was convicted because the State proved that there was saliva on the crack pipe, suggesting that it had recently been smoked and that the defendant was intoxicated at the time the police found him. Another example is a defendant being found in a well-known drug house holding a syringe with cocaine in it in a manner that he was about to insert, or had just inserted it, into his body. In this case, the Court of Appeals found that the only evidence was that Williams had his shirt off and was sweating. 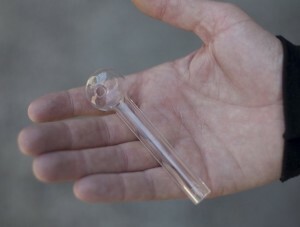 The Court of Appeals held that this was not enough to prove Williams had recently used the pipe or knew of its purpose as a crack pipe. The Court of Appeals reversed this case in the favor of Williams. This signals that it takes more than just merely being found with a pipe containing trace amounts of a drug to be convicted of knowingly possessing the drug. There must be more evidence such as intoxication, recent usage, or being found in a known drug house. If you have been charged with possession of a controlled substance or any other drug crimes, contact our attorney today for a Free consultation of your case. We will take the time to speak with you about the incident and answer your questions about the criminal justice process in Tarrant County. Contact our office at (817) 993-9249. Herbert Gardner and his ex-girlfriend dated for four years and lived together in his ex-girlfriend’s home. When the couple broke up on November 2, 2012, Gardner moved into a hotel. On December 23, 2012, his ex-girlfriend was found murdered in her home and Gardner was found nearby, badly injured. On the way to the hospital Gardner stated to the police officer, “I should not have shot her.” A jury found Gardner guilty of an elevated charge of capital murder, and the trial court sentenced him to mandatory life in prison. Gardner appealed to the Court of Appeals, arguing (1) that the evidence was insufficient to prove that he murdered his ex-girlfriend in the course of committing a burglary, an aggravating factor that elevates a murder charge to a capital offense with a heavier punishment; and (2) that the evidence was insufficient to prove that when he entered his ex-girlfriend’s home, he committed or intended to commit a felony, theft, or assault, which also carries a heavier punishment in Texas. The Court of Appeals disagreed with both of Gardner’s arguments, affirming his conviction. Gardner argued that he had an equal right to possession of the property and could not be found to have entered without his ex-girlfriend’s consent because he had lived in the home for four years, that the neighbors saw him in the home on a regular basis, and that he used the residence as home address on his driver’s license. The State argued that Gardner lost his right to possession before the murder because he moved into a hotel, his name was not on the property deed, that the front window of the home was broken and blood-stained with Gardner’s blood, that his vehicle registration reflected a different address, and that there were not any items that suggested a male was living in her home at the time of the murder. In assessing the sufficiency of evidence, the Court of Appeals must view all evidence in the light most favorable to the verdict to determine whether the trial court could have found the elements of the offense beyond a reasonable doubt. Here, the Court of Appeals agreed with the State, that there was indeed sufficient evidence for a rational jury to conclude that Gardner no longer lived with his ex-girlfriend and no longer had consent to enter the home at the time of the murder. Because the evidence was sufficient to prove the unlawful entry element of burglary, the Court of Appeals overruled Gardner’s first argument. Second, the language of the statute under which Gardner was convicted states, “A person commits capital murder if he intentionally or knowingly causes an individual’s death while in the course of committing or attempting to commit burglary.” Gardner argued that the State wrongly used his murder to establish the murder requirement for capital murder and to establish the felony component of the underlying burglary. The State argued that the Court of Criminal Appeals—the court of last resort for criminal matters in Texas— has held in several cases that a murder occurring after a break-in can indeed serve as both the basis for the murder charge and the underlying felony required for burglary. Under the legal doctrine of Stare Decisis, courts must follow the precedent established by the higher court from cases the higher court has heard from previous years. In criminal appeals, these prior cases serve as an example for lower courts to follow when making decisions about upholding or overturning convictions. Here, the Court of Appeals overruled Gardner’s second argument because the court is bound to follow precedent set forth by the Court of Criminal Appeals. The State could use Gardner’s murder to establish the murder requirement for capital murder and to establish the felony component of the underlying burglary in order to elevate the murder to capital murder, which incurs a higher penalty in Texas. In criminal appeals, the court is primarily responsible for ensuring that proper form and procedures are followed in the trial courts, rather than determining the facts of the case. The trial court is tasked with determining and recording the facts of the case, to be used later on appeal if necessary. A criminal defense attorney in Fort Worth will understand the subtle nuances of the statutory language found in the Texas Code of Criminal Procedure and in legal doctrines, such as Stare Decisis. As you can see from the case above, statutory language and legal doctrine have a direct impact on establishing the elements of a crime, elements that may determine the severity of the penalty in the punishment phase of a trial. This essay does not replace legal counsel or advice. Barnett Howard & Williams PLLC is a proven and dedicated criminal defense law firm. With offices in Fort Worth, Keller, and Grapevine, our attorneys stand ready to defend your liberty and your future. Call our office at (817) 993-9249 to arrange a Free consultation of your criminal case today. Do not wait until it is too late. Most people are familiar with the blood alcohol concentration (BAC) level for DWI: 0.08. Most people, however, are not familiar with “retrograde extrapolation” and the role it plays in determining BAC. A Fort Worth Criminal Defense Attorney will understand the importance of retrograde extrapolation in a DWI case as evidenced by a recent decision from the Texas Fourteenth Court of Appeals. FACTS: Houston Police Officer Joel Quezada arrested Luis Veliz shortly after midnight. Veliz admitted to having two beers to drink. After Officer Quezada obtained a search warrant, Veliz’s blood was drawn at 3:32 a.m. Veliz’s BAC was .081. At Veliz’s trial, a criminalist from the police crime laboratory testified that, based on the .081 BAC at 3:32 a.m., Veliz’s BAC at the time of the stop would have been between 0.095 and 0.124. The jury found Veliz guilty of DWI. On appeal, Veliz argued the criminalist’s testimony regarding his BAC was not admissible. This is where retrograde extrapolation became important. The issue in a DWI case is the BAC at the time the defendant was driving. The blood sample is often obtained hours after the arrest. The process for estimating a BAC at the time of arrest based on a blood sample drawn later is known as retrograde extrapolation: a BAC at one point in time (3:32 a.m. for Veliz) is used to estimate the BAC at a time in the past (12:05 a.m. for Veliz). Texas case law allows retrograde extrapolation testimony if the expert witness understands how to apply and how to clearly explain the process. In assessing such testimony, courts consider the time between the offense and the blood test, how many tests are administered and at what intervals, and any characteristics of the individual that were considered, including weight, gender, drinking pattern, tolerance for alcohol, amount of alcohol consumed, type of alcohol consumed, time of the last drink and what food was consumed. These are known as the Mata factors, based on the case in which they were first applied. The Mata factors are important because different individuals’ bodies absorb and eliminate alcohol at different rates. And calculating a BAC retroactively requires knowing whether the individual was in the absorption phase (increasing BAC) or in the elimination phase (declining BAC). While not every factor must be known, Texas case law requires that if only one test is performed some time after the alleged offense, retrograde extrapolation is reliable only if many of the factors are considered. The Court found the criminalist did not know many of Veliz’s relevant characteristics–his drinking pattern, the time of his first or last drink, or whether he had eaten recently. The criminalist testified she did not know the Mata factors for retrograde extrapolation. She also testified–incorrectly–that all she needed to perform a retrograde extrapolation was the time of the stop and the time of the blood draw. Because the criminalist did not understand and could not explain the subtleties of retrograde extrapolation, the court reversed the verdict and remanded for a new trial. Some people believe refusing a blood test when arrested for DWI is a good strategy because any delay will result in a lower (and unreliable) BAC. However, a Fort Worth Criminal Defense Attorney will advise that a BAC based on blood drawn several hours after the arrest can be used to calculate a BAC at the time of arrest that will be admissible in court if the retrograde extrapolation appropriately considers some or all of the Mata factors. On the other hand, if an individual is on trial for DWI, his or her Fort Worth Criminal Defense Attorney should carefully question any BAC evidence, particularly if it is based on a blood draw that occurred some time after the arrest. Retrograde extrapolation is not an exact science, and a jury will be allowed to hear testimony only if the extrapolation is appropriately performed and explained. Our Tarrant County DWI attorneys are experienced in the science behind DWI and retrograde extrapolation for determining BAC. 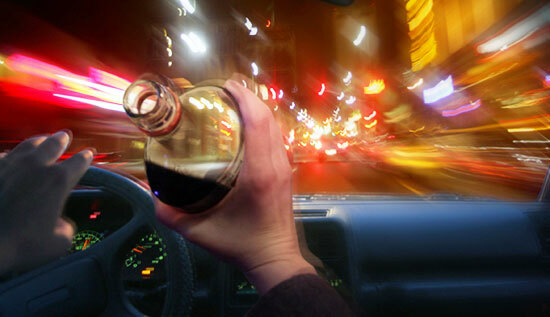 If you have been arrested for DWI, please contact us today for a FREE consultation of your case. Call (817) 993-9249 and set up an office consultation in Fort Worth, Keller, or Grapevine. Late in the evening, two San Antonio police officers saw a truck driven by Arthur Warren. The truck matched the description of a vehicle that was suspected of transporting a large shipment of narcotics. 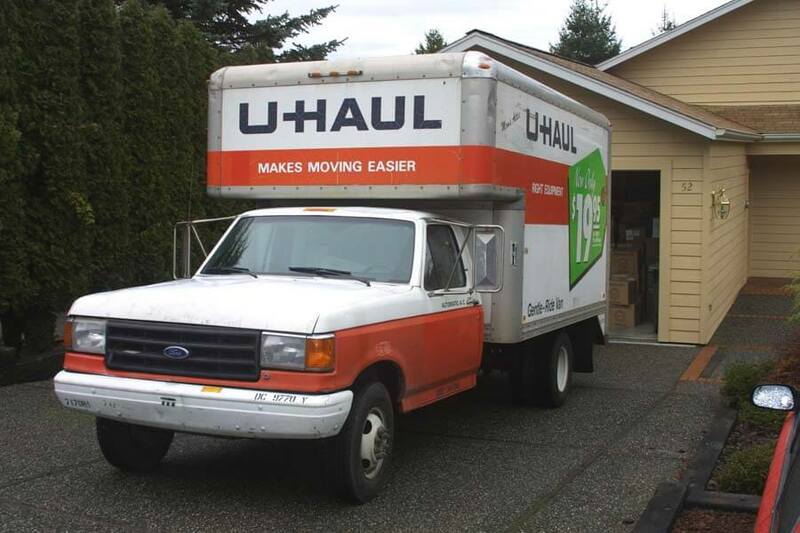 When the officers saw Warren’s truck, they observed that the license plate on the trailer was not illuminated, and they saw the truck swerve across the median and across the double white line. The officers stopped Warren’s vehicle. Officer Dupee testified that he saw a can of beer inside the truck. Officer Galvan asked Warren to get out of the truck, and the officers performed a field sobriety test on Warren. The officers asked Warren if they could search the truck and trailer. Officer Dupee testified that Warren said, “Yes, go right ahead.” Officer Galvan saw something peculiar as he searched the truck and signaled Officer Dupee to handcuff Warren. Officer Dupee told Warren that he was not under arrest, but he was just being detained. Officer Dupee testified that Warren’s demeanor changed from “nice and compliant” to “upset and depressed.” Warren gave the officers the keys to a compartment where they found marijuana. Warren testified that he did not give consent to search the truck and trailer, but rather said, “Well, you’re going to anyway.” He further testified that the officers handcuffed him only after he became upset about how they were searching the car on the trailer. In a pre-trial motion, Warren moved to suppress the evidence (the marijuana) as a violation of his Fourth Amendment protection against unreasonable search and seizure. The trial judge denied the motion. Warren made a plea agreement and received six years deferred adjudication. On appeal, Warren claimed that the State had failed to prove that he voluntarily consented to the search of his truck and trailer and that any consent that might have been given was tainted because Warren was detained for an extended time. As with any appellate review of a motion to suppress, the Court of Appeals gave almost total deference to the trial court’s determination of the facts and assessment of credibility of witnesses. The Court then reviewed the trial court’s application of the law to the facts. An exception to the Fourth Amendment protection against warrantless searches is a search where voluntary, uncoerced consent is given. The State bears the burden of proving that the search was voluntary. Warren argued that the State did not meet this burden. The trial judge determined Officer Dupee to be credible when he stated that Warren gave consent to the search voluntarily and not under duress. Warren’s claim that he felt he had no choice but to consent was considered, but the Court of Appeals noted that case law provides for a presumption that if someone’s constitutional rights are about to be violated, the individual will assert those rights. The Court of Appeals gave deference to the trial court’s assessment of Officer Dupee’s and Warren’s credibility and upheld the conclusion that Warren’s consent was voluntary. As for the length of the detention, the Court noted that police cannot use a traffic stop as a “fishing expedition” to discover unrelated criminal activity. 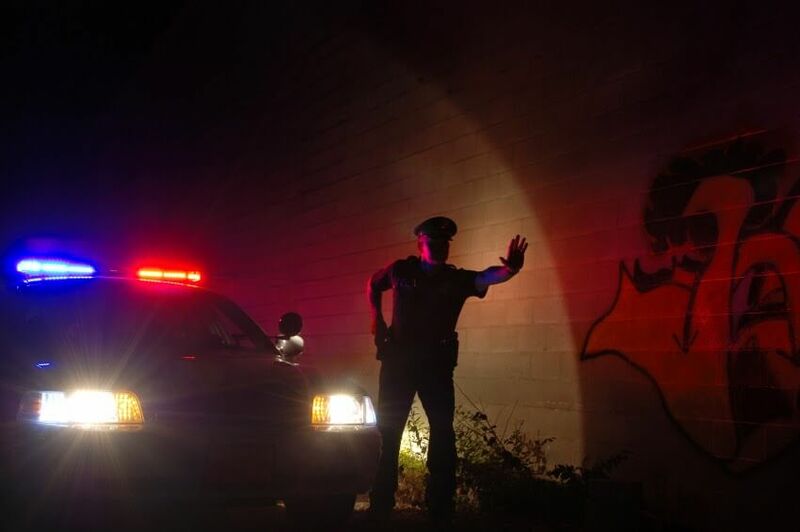 Once the purpose of a traffic stop is satisfied, additional reasonable suspicion is required for further detention. The trial court had found that the detention was initially related to the tip that narcotics were being transported in a vehicle matching the description of Warren’s truck and that Warren’s erratic driving justified the officers investigating whether he was intoxicated. Even if the officers had satisfied their investigation of Warren’s intoxication, they were justified in continued detention due to the traffic violations they had observed and their observation of Warren’s bloodshot eyes and the beer can in the cab of the truck. Based on the officers’ testimony that Warren had consented to the search of the vehicle, the trial court found that the detention was not extended illegally. The Court of Appeals agreed that the officers had probable cause to initiate the stop, that Warren consented to the search and that the length of the detention was not unreasonable. This case highlights two principles of Fourth Amendment law. First, while the State is required to prove the voluntary nature of a consent to search, the court is not required to accept the defendant’s position on that issue if the circumstances indicate that consent was voluntary. Second, while police officers may not extend a traffic stop to search for other possible unrelated violations, as long as the officers have reasonable suspicion of illegal activity and are investigating that suspicion, the driver can be detained until the officers’ investigation is complete. This case reinforces our advice in previous articles…DO NOT GIVE CONSENT TO SEARCH! Make the officers get a warrant. It’s their job and your right! What exactly is a “Consensual Encounter” between a police officer and a citizen? The trend in Texas search and seizure law over the past several years seems to indicate that any time a police officer does not have reasonable suspicion to justify a detention of an individual (or probably cause to arrest), the courts label the unreasonable detention as a “consensual encounter,” thereby justifying the illegal search and sustaining the investigative actions that follow. The courts reason that the citizen was free to leave at any time during the officer’s questioning so the 4th Amendment is not implicated. Johnson v. State – One night, a resident of an apartment complex called 911 to report a suspicious person- an unidentified black male who was sitting out front of the leasing office watching cars. In response to her call, a Houston Police officer went to the complex. Although the officer did not see anyone outside the leasing office, he noticed a vehicle that was backed into a parking space with its lights on. The officer parked his car in a manner in which the appellant would have had to maneuver around the car to leave and shined his high-beam spotlight in the car. Believing that appellant could be the suspect, the officer approached the driver side door where he smelled an odor of marijuana. Despite the fact that the appellant’s clothing did not match the description given by the resident, the officer spoke to the appellant using a ‘loud authoritative voice.’ During the officer’s interaction with the appellant, he smelled an odor of marijuana coming from inside the car. The officer did not see the marijuana until after he asked appellant to step out of the car. The officer arrested the appellant and charged him with misdemeanor possession of marijuana. Appellant filed a motion to suppress asserting that his seizure was made without any reasonable suspicion that he was engaged in any criminal activity and that the acquisition of the evidence was not pursuant to a reasonable investigative detention or pursuant to an arrest warrant. The trial court denied the motion holding that appellant had been detained and that the officer acted reasonably under the circumstances and did have articulable facts that justified the minimal detention. The court of appeals affirmed the trial court’s judgment holding that a reasonable person in appellant’s position would have believed that he was free to ignore the officer’s request or terminate the interaction, thus making the initial interaction a consensual encounter rather than a Fourth Amendment seizure. Police and citizens may engage in three distinct types of interactions: consensual encounters, investigative detentions, and arrests. 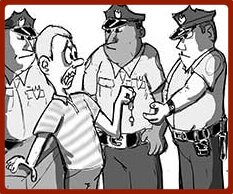 Consensual police-citizen encounters do not implicate Fourth Amendment protections. But, when a seizure takes the form of a detention, Fourth Amendment scrutiny is necessary and it must be determined whether the detaining officer had reasonable suspicion that the citizen is, has been, or is about to be engaged in criminal activity. On review of the denial of appellant’s motion to suppress evidence that led to his marijuana conviction, the Court of Criminal Appeals held that the court of appeals erred in holding that the officer did not detain the appellant. Under the totality of the circumstances, a reasonable person would not have felt free to leave. When the officer (1) shined his high-beam spotlight into appellant’s vehicle, (2) parked his police car in such a way as to at least partially block appellant’s vehicle, (3) used a “loud authoritative voice” in speaking with appellant, (4) asked “what’s going on,” and (5) demanded identification, a detention manifested. The Court of Criminal Appeals reversed and remanded the case to the court of appeals to consider the trial court’s determination that the officer had reasonable suspicion to detain the appellant and to decide whether that detention was valid. In Hicks v. State, the Texas Court of Criminal Appeals unanimously reversed the 14th District Court of Appeals (Houston) and held that reckless aggravated assault is a lesser included offense of intentional or knowing agg assault. Appellant was charged with intentional or knowing aggravated assault after he and Angelo Jackson got into a fight over borrowed shoes that ended with Angelo being shot in the leg. The trial judge instructed the jury on intentional or knowing aggravated assault, as charged in the indictment, and he also gave a separate instruction for reckless aggravated assault. The jury convicted appellant of reckless aggravated assault. The court of appeals held that the trial judge erred in giving any instruction on reckless aggravated assault because (1) the original indictment did not charge a reckless state of mind, and (2) reckless aggravated assault is not a lesser-included offense of intentional aggravated assault. We granted review to resolve a conflict between the courts of appeals on whether “reckless aggravated assault” is a lesser-included offense of intentional or knowing aggravated assault. Applying the plain language of Article 37.09 and adhering to our opinion in Rocha v. State, we conclude that it is. Therefore, the trial judge did not err by instructing the jury on reckless aggravated assault as a lesser-included offense. Reasonable Suspicion for Traveling Below the Speed Limit? I observed a traffic congestion in the inside westbound lane [on Interstate 10 in Waller County]. Traffic volume was moderate. I inspected further and observed a grey Chevrolet 4 door sedan . . . traveling below the prima facie limit of 65 miles per hour and Impeding Traffic. I paced the vehicle, which was traveling at approximately 52 miles per hour . . . . I initiated a traffic stop of the vehicle. This traffic stop led to the search of the vehicle and the seizure of marijuana. The driver of the vehicle was later convicted of Class B misdemeanor possession of marijuana. The primary question on appeal to the 14th District Court of Appeals (Houston) was whether a vehicle traveling below the speed limit necessarily creates reasonable suspicion to initiate a traffic stop. Under Texas law, a vehicle “may not drive so slowly as to impede the normal and reasonable movement of traffic, except when reduced speed is necessary for safe operation or in compliance with law.” Tex. Transp. Code § 545.363(a). 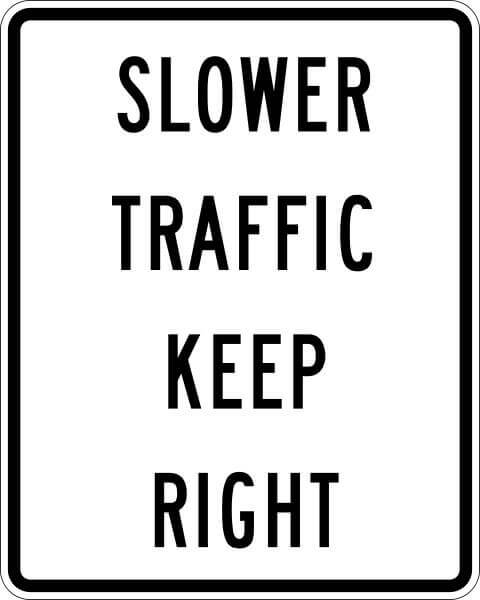 “Slow driving, in and of itself, is not a violation of the statute; a violation only occurs when the normal and reasonable movement of traffic is impeded.” Tex. Dep’t of Pub. Safety v. Gonzales, 276 S.W.3d 88, 93 (Tex. App.–San Antonio 2008, no pet.). Noting that the only evidence at trial on this issue was the police officer’s report which contains a conclusory statement that appellant was “impeding traffic,” but no articulable facts (other than the speed of his vehicle), the court held that the trial court erred in denying appellant’s motion to suppress. The dissent believed that there were enough facts in the record to support the stop, and would have upheld the trial court’s ruling. 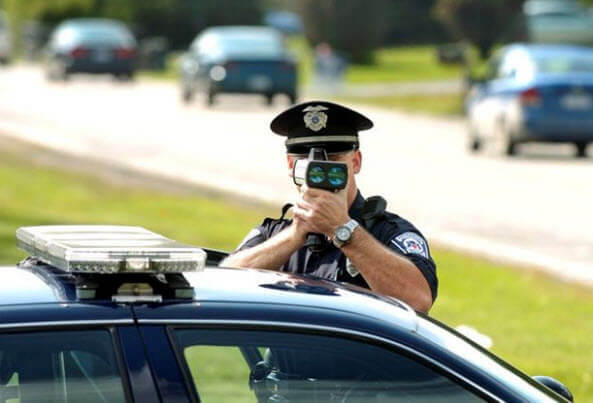 Analysis: While traveling below the speed limit may indeed be enough to get you pulled over, the officer must indicate, either in his report or on the stand at trial, what specific articulable facts led to the reasonable suspicion that you were “impeding traffic” such that his stop was justified. Short of that, it is an unreasonable stop under that law. This is the kind of decision that drives me crazy. The officer testified that the defendant was “impeding traffic” based upon his slower speed. The trial court found and ruled in his favor. Should not the trial court’s ruling be upheld? Unfortunately, this holding is line with a similar decision of the Court of Criminal Appeals in which the court held that the State failed to prove that a defendant committed a traffic violation of following too closely because all that the officer testified was that the defendant was following too closely. I suppose that when an officer testifies that the defendant was “impeding traffic,” you should then ask the officer, “In what observable way was the defendant impeding traffic?” Were cars having to constantly go around him? Were they honking? Still, a trial court’s ruling should be upheld if it is supported by the record. Maybe the Court of Criminal Appeals will review this decision, especially since there is a dissenting opinion. Is a Defendant Entitled To Transcript of a Prior Mistrial? Blackshear v. State (link not working for now) 14th District Court of Appeals (Houston) 2011. The State must, as a matter of equal protection, provide indigent prisoners with the basic tools of an adequate defense or appeal when those tools are available for a price to other prisoners. Among these basic tools is a transcript of prior proceedings when needed for an effective defense or appeal. In determining whether a defendant needs a transcript, the Britt court took two factors into account: (1) the value of the transcript to an effective defense, and (2) the availability of alternative devices that would fulfill the same functions as a transcript. In considering the first factor, the Britt court noted that “our cases have consistently recognized the value to a defendant of a transcript of prior proceedings, without requiring a showing of need tailored to the facts of the particular case.” Ordinarily, the court concluded, a transcript of a prior mistrial is valuable to the defendant in at least two ways: as a discovery device in preparation for trial, and as a tool at the trial itself for the impeachment of prosecution witnesses. 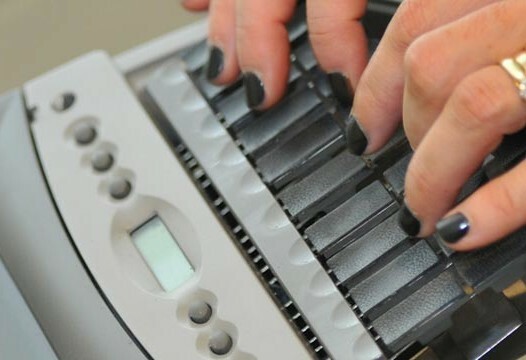 The Court of Criminal Appeals has expressly presumed a defendant’s need for a transcript and has imposed upon the State the burden to rebut the presumption. An easy decision for the 14th COA in Blackshear. “Blackshear’s counsel should have been able to use the transcript from the first trial in his cross-examination in the second.” The trial court denied the request. No transcript = remand for new sentencing hearing.